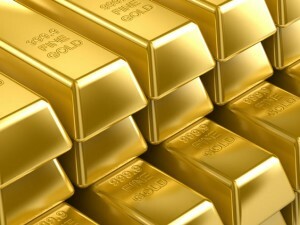 HomeGold IRA BlogGoldWhat Is Gold’s Real Value In This Crazy World? What Is Gold’s Real Value In This Crazy World? I have to wonder what kind of rent Fischer pays Disney for his estate in Fantasyland. More than 2 million Americans have used up their 99 weeks of unemployment and still can’t find work (but of course they no longer show up in any statistics). Millions of college educated Americans are taking hourly labor jobs, because jobs they’re qualified for don’t exist. 46 million Americans received food stamps in August. A third of America’s 14 million unemployed haven’t had a job for a year or more and unemployment benefits are the only thing that kept 3.2 million Americans from achieving the “poverty level.” Very close to full employment in what world? The economy is not thriving and the government is far more concerned with avoiding a panic than they are righting our economic ship, probably because the time for truly effective corrective action has long since passed. Anyone who can afford should invest a comfortable portion of their paper assets in the one commodity that has maintained universal value throughout history, GOLD! The Brexit vote is causing EU members to return to their isolationist tendencies, weakening an already fragile fiat currency. And when the Euro fails, Japan will be one of its earliest victims, due to their own national debt and their massive credit extension to the EU. So as this global house of cards continues to play out, a window of opportunity exists for concerned investors to shore up their defenses from economic Armageddon with gold and other precious metals, one of the few commodities that increase in value when other financial instruments fail. Don’t wait until it’s too late.